This year I wanted to try a new way to decorate eggs with the kids for Easters. 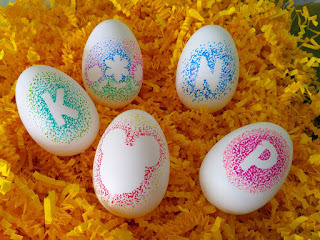 We decided to go with a pointillism approach on some craft eggs that we could use year and year int he baskets and to decorate the house! 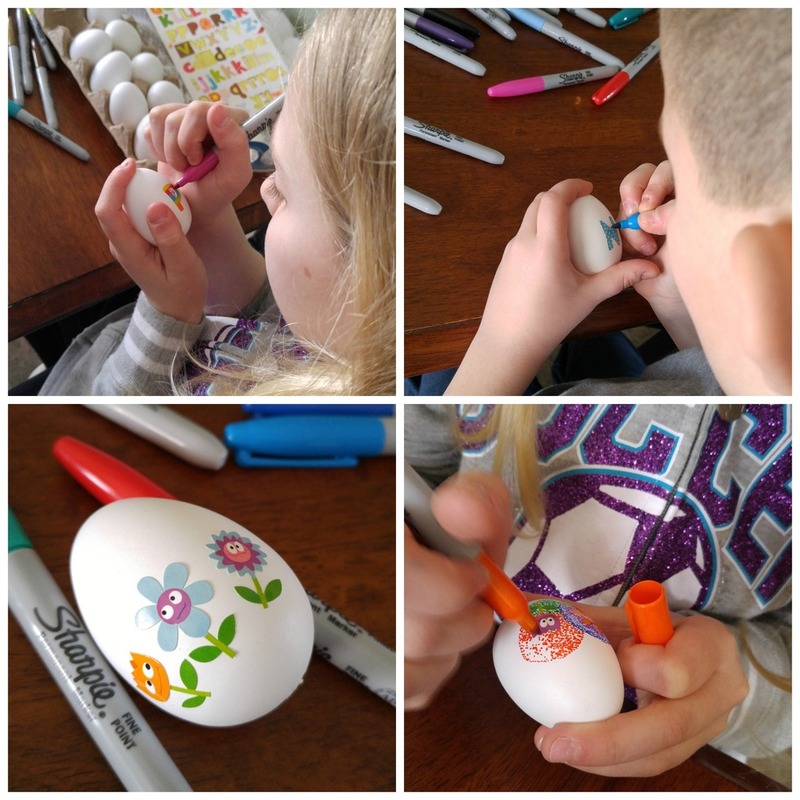 The technique we used was just to make dots on the eggs with Sharpie markers and stickers. Once I did one egg to show the kids how to get started, they were having their own fun creating their masterpieces! The best part of all it was mess free! Now egg dyes to clean up! 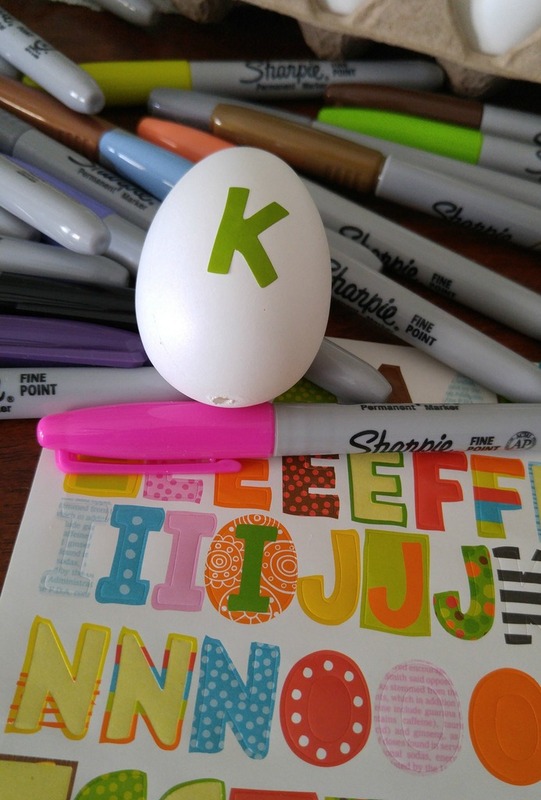 Step 1: Put letter stickers on your eggs. 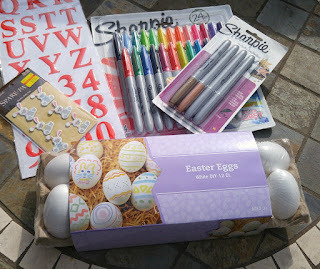 Step 2: Add dots around edge of the stickers. 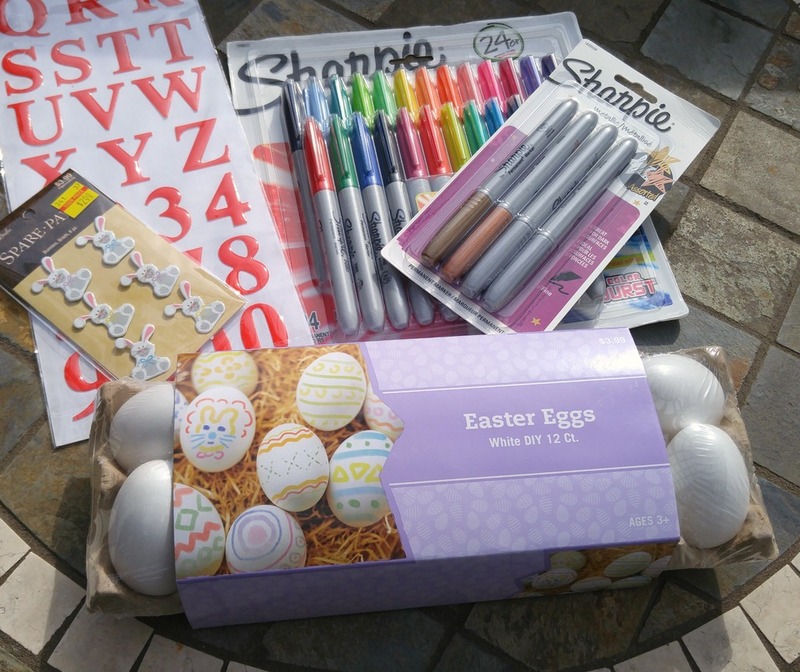 Build up the dots around the stickers and have fewer dots as you get to the edges. Step 4: Let dry for a minute or two and then carefully pull off the sticker to show the white letter or shape! 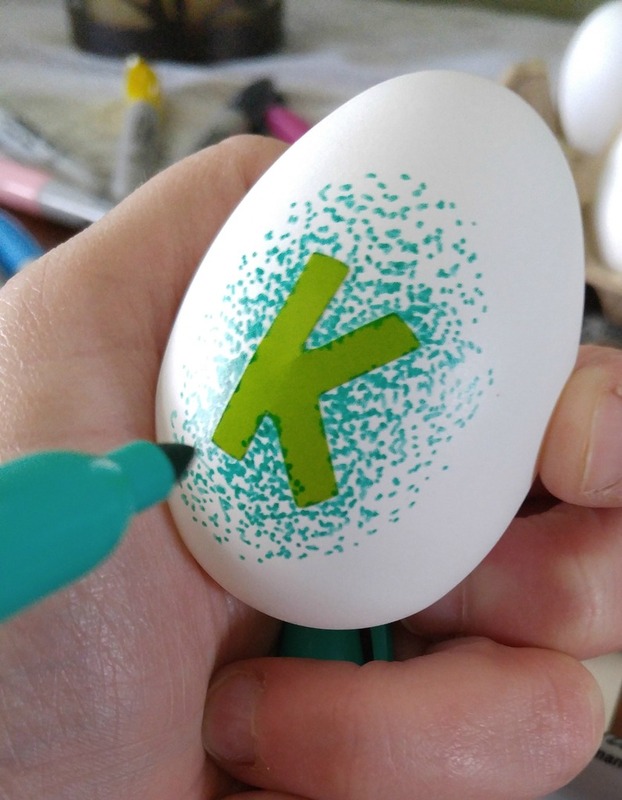 You really can't go wrong or make a mistake with these super cute Easter Eggs. If you can make a dot with a Sharpie, you can do this craft!